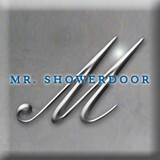 From the Classic to the Modern... Mr. ShowerDoor (www.mrshowerdoor.com) began in the early 1980's with the concept of manufacturing and assembling our own products in order to improve delivery time and reduce backorders and errors. Integrating the latest advances in design, we hold four patents in the industry. Along the way, we acquired the well-reknown and established G.M. Ketcham Company... a recognized leader as the "Rolls Royce" of plated over brass products. In addition to our three showrooms in Stratford, CT; Norwalk, CT; and Eastchester, NY our trucks are on the road in Manhattan and Brooklyn, NY nearly every day. We also provide wide-ranging service far beyond the NY/NJ/CT tri-state area. Our 30,000 square foot manufacturing facility employs the latest state-of-the-art equipment to bring our customers the finest, custom-tailored solutions. Our formula for success remains as strong a part of Mr. ShowerDoor now as it was when we were founded... speed, accuracy, attention to detail and service that backs our products years after the initial installation. Dimensions In Glass, Inc., based in Fairfield, CT, is a full-service residential and commercial custom glass contractor specializing in custom and frameless glass shower doors, frameless glass bath enclosures, antique glass mirrors, beautiful glass shelves, and distinctive glass vanities. Fairfield Glass has been in the community for over 40 years, providing commercial and residential glazing products to Fairfield County. Skilled in all structural and architectural glazing applications, Fairfield Glass is the preferred contractor for all your glazing needs. 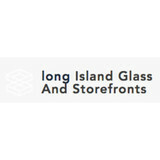 At Long Island Glass And Storefronts , we believe that no job is too big or small. If you are looking for someone to do your window and door installations, then you can count on our years of experience, professionalism, and dedication to the community to get the job done right. We will provide for you free estimates for the job. With a no hassle guarantee, we will not try to push our services when giving a free estimate, instead respecting your right to go somewhere else for the services you require. However, if you hire us, then you can be sure to receive the best possible job at an affordable rate. Regardless of whether or not it is storefront glass replacement, glass for your home, glass for your office, or even commercial installation, we have you covered. Moriches Glass & Mirror Inc. of Center Moriches, NY specializes in custom designed frameless shower enclosures. We also offer installation service to make things easier for you. With our professional, knowledgeable, and reliable staff, we are ready to make sure you get a positive customer experience. Glass Contractors LLC is a full service licensed glass and glazing company serving Connecticut since 1992. For residential homes we install glass bath enclosures, glass railings, stair treads, mirrors and wine cellar enclosures. Our bath enclosures are the highest quality heavy glass frameless shower and tub enclosures that we offer. We want to ensure that the enclosure you select compliments and adds beauty to your bathroom. We custom design our enclosures to suit your taste and budget. 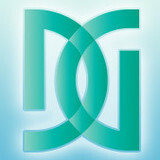 Innovative Glass and Plexiglass inc. Mobile glass repair business specializing in thermal pane unit replacement. Riverhead Glassworks, Inc. is a full service glass company located in Cutchogue, NY, servicing the North Fork, South Fork, Shelter Island and the surrounding Riverhead area. Contact us in Deer Park, New York, for windshield replacement or repair window tinting, and electric window repair. In business for 45 years, our locally owned and operated business has 45 years of combined experience in glass installation. We offer excellent, same day service and competitive prices on a wide array of auto glass services, from window replacement and window tinting to window repair and mirror installation. We handle all the insurance company paperwork, approved by all insurance companies. If you have a damaged window on any vehicle model, Mr. Glass Inc. has something for you. From small repairs to large renovations, B & R Glass takes pride in being a full-service glass company. Since 1991, Vinny, Carm, and Jay Ruotolo have been operating with pride in their craftsmanship and always strive to ensure we exceed expectations. We proudly serve the State of Connecticut. Westhampton Glass & Metal specializes in new installations, repairs and restorations of glass and metal work. These include products such as tabletops, plexiglass, insulated glass, custom mirror work, shower enclosures as well as rescreening and reglazing of storm panels. Whether it's a cutting edge frameless application or an Old-World-style brass design, we can help fabricate and select the right product for your application and budget. We are second to none with our competitive prices and expertise. What can a local Southampton glass company help me with? If it’s a major home glass repair or replacement, the Southampton glass company should work directly with your insurance company to help bring down costs for you, if applicable. Find Southampton glass companies on Houzz. Narrow your search in the Professionals section of the website to local glass, mirror and shower door services in Southampton, NY and read reviews and ratings to find one that fits your needs.